Plains Horizon Insurance – Reliable Protection, One Strong Relationship at a Time. Plains Horizon is an insurance company built on one strong relationship at a time. 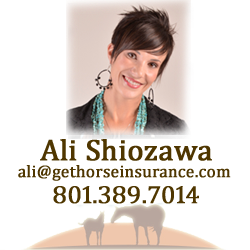 Our experience in horse and livestock insurance goes back for over 15 years. We have an impressive group of clients that we are proud to work with. Folks that know the importance of protecting their investments. Folks we consider our friends. 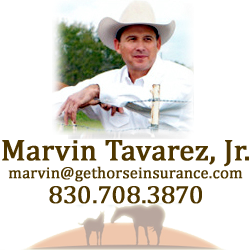 Coverages range from equine full mortality and major medical to farm and ranch liability. Plains Horizon has also expanded into Livestock Coverage, including cattle and working dogs. 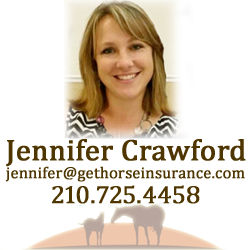 Agent, Jennifer Crawford is specializing in the Livestock Division and is ready to assist you. 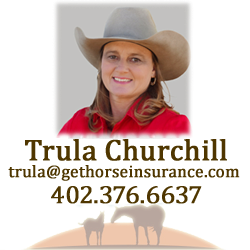 Recently, we also added Agent, Trula Churchill to our team to help you with your Livestock and Equine Insurance needs. Trula's lifetime experience on the ranch and in the rodeo arena, give her a unique insight into the cattle and horse business. Simply give us a call at (877) 569-8960 to visit about your needs or use the request a quote button and an agent will contact you at your convenience. 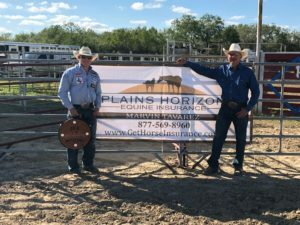 Plains Horizon Equine Insurance is backed by professionals with many years in the horse and livestock insurance industry, and we would be glad to assist you with coverage options that best fit your needs. We look forward to getting to know you and your horses.